Offa's Dyke at your doorstep. Ceinwen, Robert and family offer you a warm welcome to their home. Drewin Farm overlooks a beautiful panorama of Welsh borderlands; a landscape steeped in history and rich in wildlife. 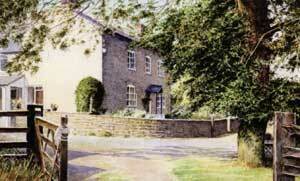 Our 17th century farmhouse lies in an area of quiet lanes and small market towns. It is a mixed working farm of sheep, beef cattle and crops. 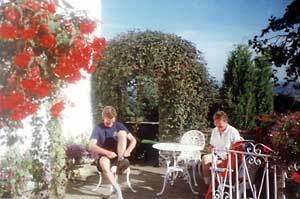 We are ideally situated for those walking the legendary Offa's Dyke or visiting this unspoilt part of Britain. The ensuite bedrooms have magnificent views, colour televisions and drinks facilities. The accommodation is centrally heated throughout. Traditional home cooking is served in the dining room and a separate lounge is available for your comfort. We enjoy meeting our visitors, and aim to make your holiday enjoyable. Winner of the AA Best Breakfast Award in Wales and also appeared on the BBC Travel Show.